The Enlightenment is one of the most important and contested periods in the history of philosophy. The problems it addressed, such as the proper extent of individual freedom and the challenging of tradition, resonate as much today as when they were first debated. Of all philosophers, it is arguably Kant who took such questions most seriously, addressing them above all in his celebrated short essay, An Answer to the Question: What is Enlightenment? 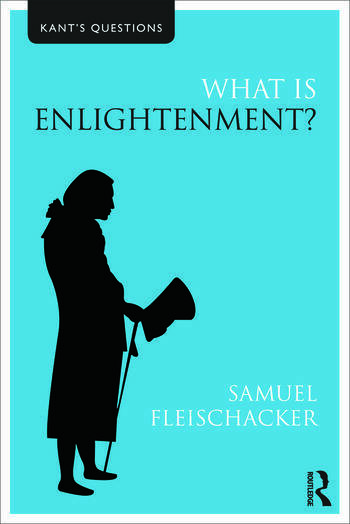 In this engaging and lucid book, Samuel Fleischacker first explains and assesses Kant’s philosophy of Enlightenment. He then considers critics of Kant’s views - from Burke and Hegel to Horkheimer and Adorno - and figures he regards as having extended Kant’s notion of enlightenment, such as Feuerbach, Marx, Habermas, Foucault, and Rawls. Throughout, he demonstrates how Kant holds two distinct theories of enlightenment. On the one hand, Kant proposes a ‘minimal’ view, where to be enlightened is simply to engage in critical public discussion, allowing diversity of opinion to flourish. On the other, he argues that Kant elsewhere calls for a ‘maximal’ view of enlightenment, where, for example, an enlightened person cannot believe in a traditional religion. With great skill Fleischacker shows how these two views are taken in a multitude of directions by both critics and advocates of Kant’s philosophy. Arguing that Kant’s minimal enlightenment is a precondition for a healthy proliferation of cultures, religious faiths and political movements, What is Enlightenment? is a fascinating introduction to a key aspect of Kant’s thought and a compelling analysis of philosophical thinking about the Enlightenment. Including helpful chapter summaries and guides to further reading, it is ideal for anyone studying Kant or the philosophy of the Enlightenment, as well as those in related disciplines such as politics, history and religious studies. Samuel Fleischacker is Professor of Philosophy at the University of Illinois-Chicago, USA.